While hanging with pals Eric (Kevin Connolly), Turtle (Jerry Ferrara) and Johnny Drama (Kevin Dillon), movie star Vince Chase (Adrian Grenier) receives a phone call from Ari Gold (Jeremy Piven), his former agent who now runs a major studio. Ari offers Vince the leading role in his first production, but the actor insists on also directing the film. Things get out of hand when the $100 million flick goes over-budget, leaving Ari, Vince and the boys at the mercy of the cutthroat world of Hollywood. 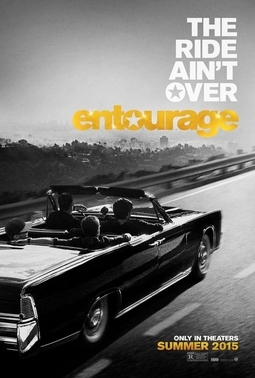 Carleton reviews the big screen cinematic debut for the HBO series Entourage. Having never seen the TV series, what did he make of it?